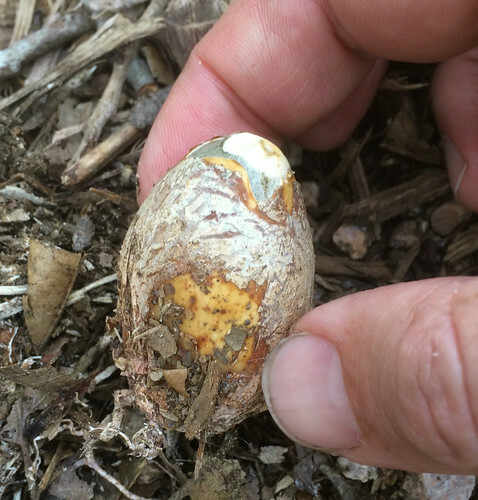 What: inner part of "egg"
Close-up of common stinkhorn egg. 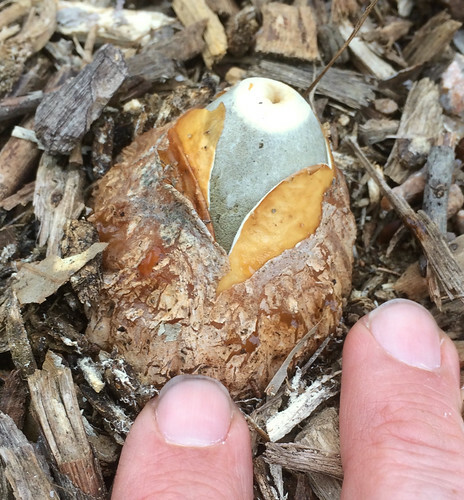 Common stinkhorn egg starting to "hatch". 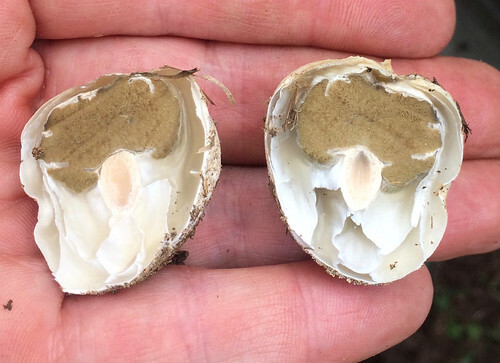 Common stinkhorn egg cut in half. The inner spongy, off-white part is the edible section. 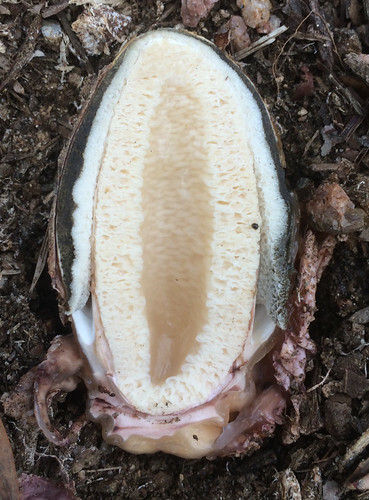 Very young, bisected stinkhorn egg. 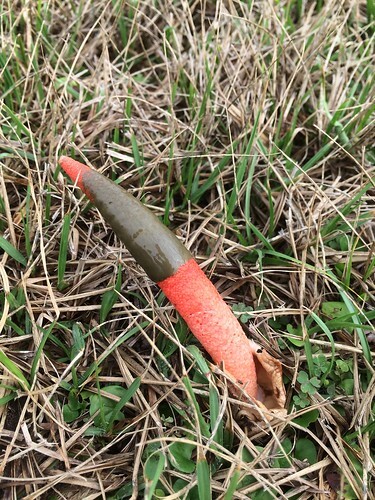 Really, there's no part of the lifecycle of the common stinkhorn mushroom where it doesn't look disgusting. At best, they'll look like a cluster of mottled, alien eggs poking up through mulch. At worst, they look like the remains of a grotesque crime! And at the "crime" stage they have the added benefit of smelling very much like dog poo. And yet, people figured out they're edible. Humans have gone through some pretty hungry times! Somewhat more common in the winter, these strange mushrooms seem to prefer growing in piles of mulch or other loose, organic matter. 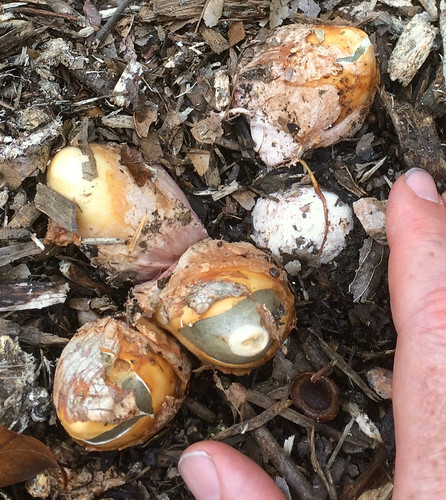 As mentioned above, they'll look like a cluster of red/orange/brown/gray mottled eggs poking out of the mulch. Slightly older ones will have begun to split across the top as a gray-tip...rod...begins erecting itself. As it grows a pale shaft appears beneath the gray, shrouded tip. At this point that tip-shroud will smell like dog poo. The shaft is fairly weak and so rather than sticking upright it'll sag limply over, ending up laying across the ground. The only edible portion is the early "egg", plucked before the top begins to split and with the outer layers removed to just leave the white/cream-colored, spongy part. At this point the mushroom has a mild, almost pleasant smell. This peeled egg is then diced up and cooked with eggs or other items. Basically treat it like most other mushrooms but definitely cook it. 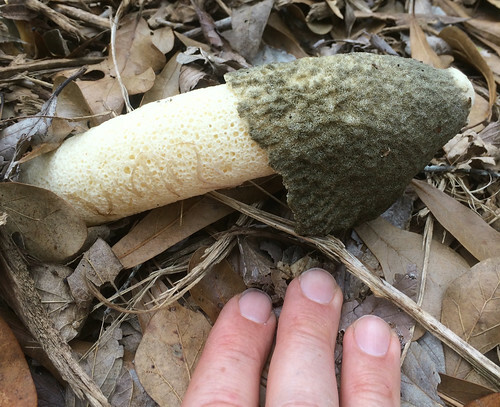 As far as toxic mimics go, there are other stinkhorns that burst out of eggs but none look a humanly...phallic...as Phallus impudicus. Others will be red in color or consist of four tentacle-like limbs joined at the top. All of them will stink as they use flies to spread their spores. 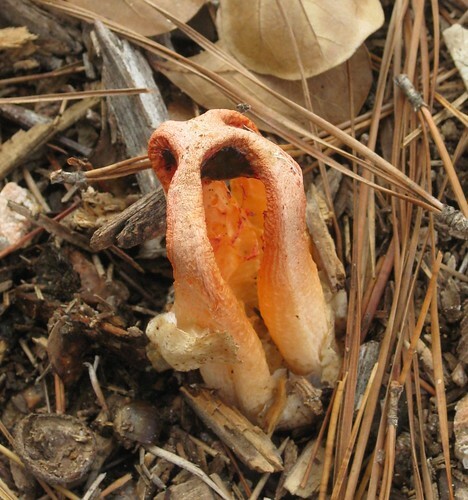 There are both edible and poisonous mimics of the young "eggs", however. 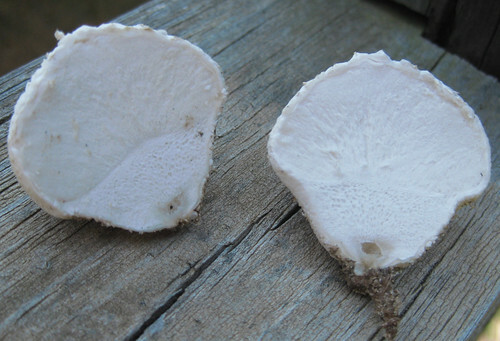 Edible puffball mushrooms are a homogenous white color. 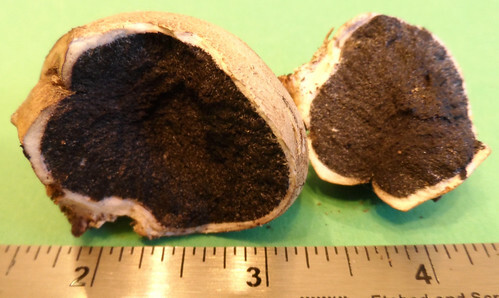 Poisonous Earthball mushrooms have an off-white skin around a dark center.